Lush Times: This ballistic is like a pass the parcel gift – each layer has something different to offer. This is not for a quick bath because it takes its time, this ballistic, its wonders to unfold. First take some time to shake it, listen to the little rattle from within and try to imagine what’s in there. Then drop it in your water and gaze in wonderment as gold turns to yellow, turns to blue and spits out soluble stars along the way. This isn’t a bath – this is an event ! We loved this ballistic so much, we decided to put one of our most popular perfumes in it, so that lots of people will enjoy bathing in it. Long standing customers will recognise the smell of Champagne Snow Showers. Newer customers might like to know that the smell is of a light fizzing champagne cocktail, and contains sweet orange oil, cognac oil and lime oil. So wonder no longer – put one of these in your basket and try it for yourself This ballistic contains edible gold lustre and soluble paper stars – so there’ll be no sparkly bits left to clean out of your bath afterwards. 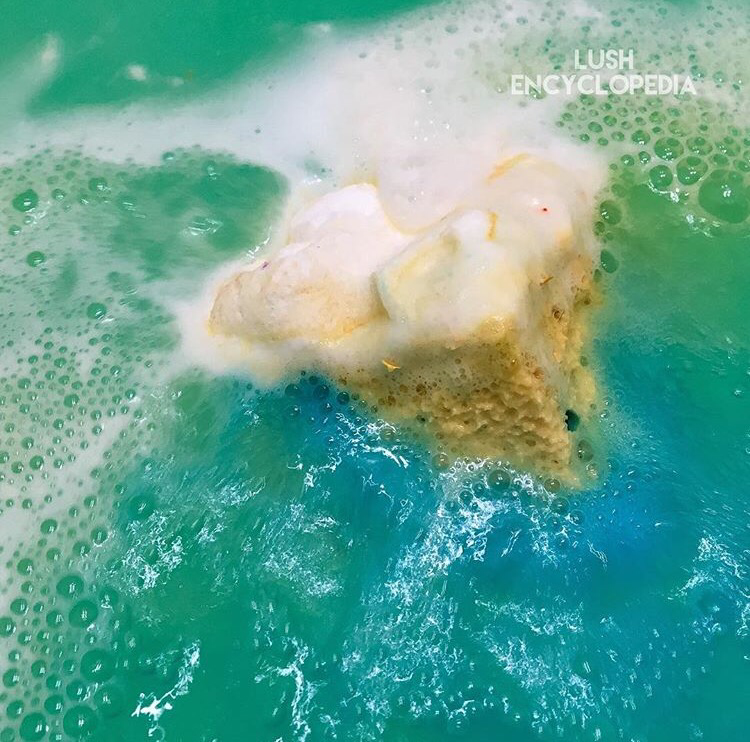 Posted on August 21, 2015 by Lushalot	• This entry was posted in Bath Bombs, Christmases Past and tagged celebrate, champagne snowshowers, christmas 2013, christmas 2014, Christmas 2015, cognac oil, gold glitter, golden wonder, Lime oil, lush golden wonder, orange oil, present shape, scent family. Bookmark the permalink.